Lena is a University Academic Fellow based at Leeds University Business School. In her doctoral research, Lena investigates renewable energy technology adoption and market development through inter-organisational networks that link technology suppliers to end-users. 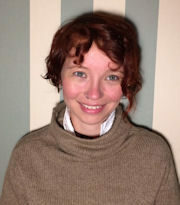 Her research aims at illuminating the role of networks of public, private and third sector organisations in creating low-carbon development pathways, and critically analyses what kinds of network relationships drive, facilitate or inhibit the sustainable adoption of renewable energy technologies (RETs) in the Central American region. Through ethnographic and visual network research, this study will illuminate the ‘everyday’ practices and inter-organisational relationships of organisations embedded in an emerging RET market, which is heavily influenced by inter-governmental and non-governmental organisations and development assistance. Lena holds an MA in International Relations from Keele University (UK) and an MRES/Dipl. in Sociology from the University of Bielefeld (Germany).